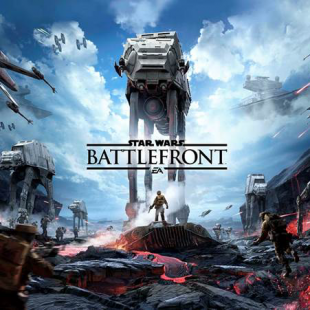 Star Wars: Battlefront will replace the older games' class system with unlockable weapons and gear. Star Wars: Battlefront has, up until now, been a series built on classes. Before entering combat, players would pick a faction and select from a series of characters classes, each complete with their own weapons and skills. According to recent reports however, DICE's upcoming series reboot will be doing away with that structure in favor of more free-form customization options. Originally featured in the pages of OXM, said reports have indicated that the new Battlefront will be replacing the series' previous class system with unlockable weapons and gear that players will be able to "freely" select prior to combat. Perhaps hoping to ease fears that Battlefront will just be a Star Wars re-skin of its previous games, DICE also confirmed that it will be moving away from Battlefield's five man squads and will instead use a unique "partners" system that will link two players together. The linked players will be able to use each other as spawn points, see one another on their respective HUDs and even share access to unlocked weaponry. While we'll obviously have to see how these planned features play out in the actual game, they nonetheless sound like interesting additions to both Battlefront and standard multiplayer FPS formula itself. I'm sure there are purists out there who would prefer that the new game just emulate the franchise's past. That said, I'm personally looking forward to seeing the new twists and tweaks that DICE adds to the original formula. Just make sure you get space battles in there at some point too, please.